The newly decorated family-size cabin, Cozy Corner, can be found less than 6 miles from downtown Pigeon Forge. Located in the Hidden Springs Resort, this 2-bedroom, 2-bath cabin is a great size for family getaways or a small group retreat to the Smokies. 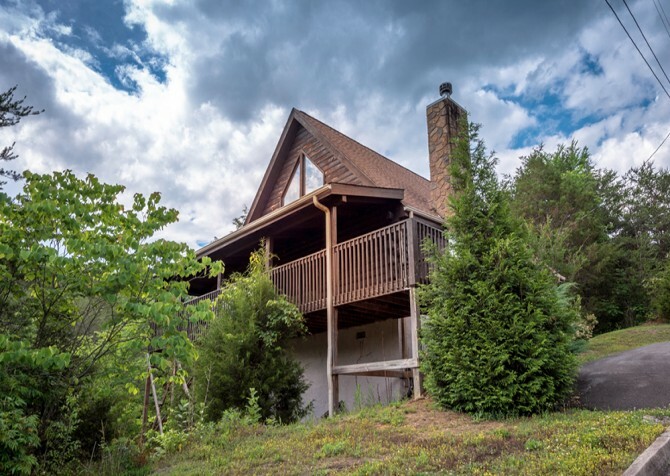 You’ll be able to sleep 6 guests inside this cozy cabin, enjoying wooded views of the Smoky Mountains, community pool access, and a variety of brand-new appliances and amenities. 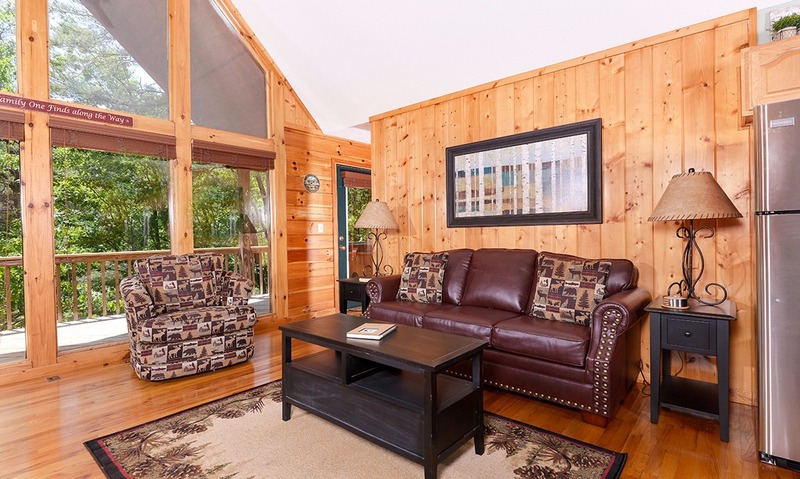 Cozy Corner, recently furnished with all new décor, features 2 king-size beds, a large sleeper sofa, an indoor jetted tub, an updated kitchen, and a paved driveway. 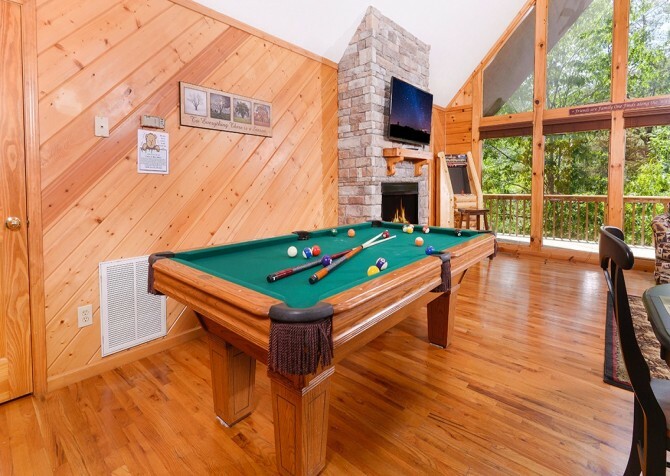 For entertainment during your stay, enjoy the flatscreen TVs, pool table, and arcade game found in this cabin as well as an outdoor hot tub on the back porch. 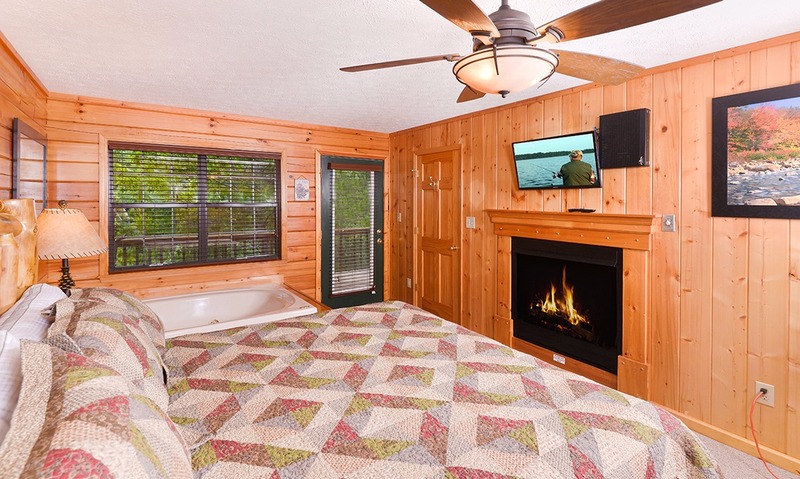 With wooded views, rocking chairs, and a semi-private lot, Cozy Corner will provide all the privacy and natural beauty you are looking for during your Smoky Mountain stay. 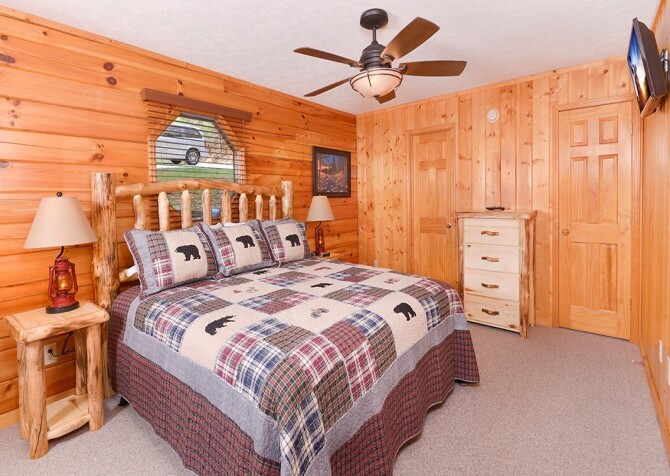 Book this Pigeon Forge cabin for your next family vacation today! 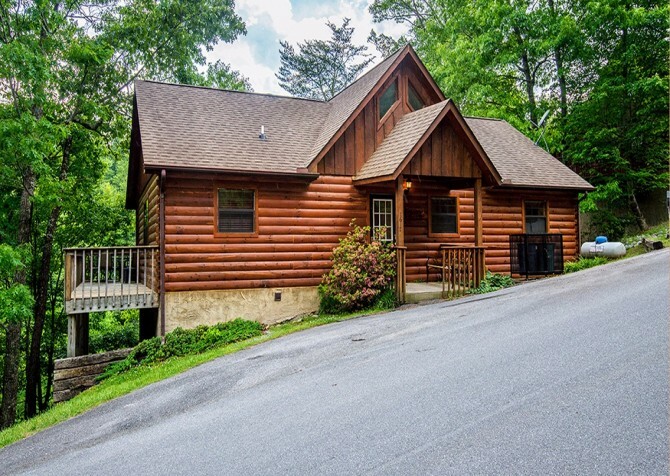 The paved driveway and stair-less porch leading into Cozy Corner make it easy for you to “come on in” and enjoy your log-style home away from home in the Smokies. When you enter, you’ll love the open-concept design of this cabin, leaving the kitchen, dining room, and living room open to one another and creating a large living space where you can spend some downtime during your stay. The living room of Cozy Corner comes furnished with a large couch that doubles as a queen-size sleeper sofa as well as a plush chair, an end table, and a matching coffee table. Use the coffee table for your drinks and snacks while you watch a favorite TV show on the flatscreen TV mounted above the gas fireplace. You can also use it for family game night in the cabin. We recommend mixing it up and taking some new games with you—like Hedbanz, Qwirkle, or Apples to Apples. You never know what your new family favorite will turn out to be! 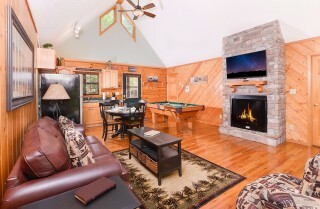 The other great thing about the Cozy Corner living room is that it functions as a family-friendly game room as well. This large living room contains a full-size pool table and an arcade game system in the corner, providing hours of entertainment without leaving the cabin. 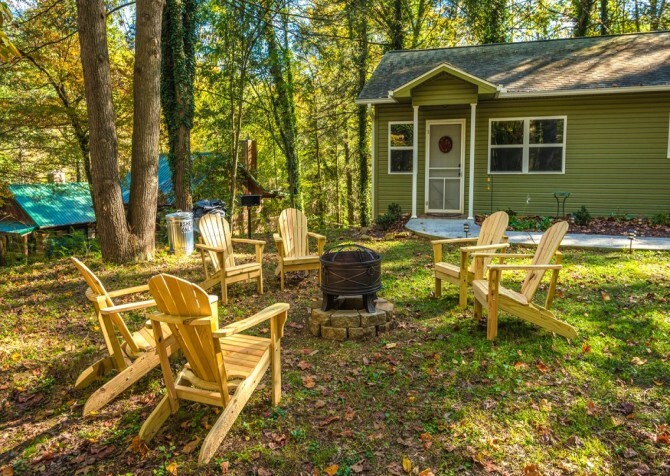 So rain or shine, you’ll find ways to have fun at Cozy Corner! 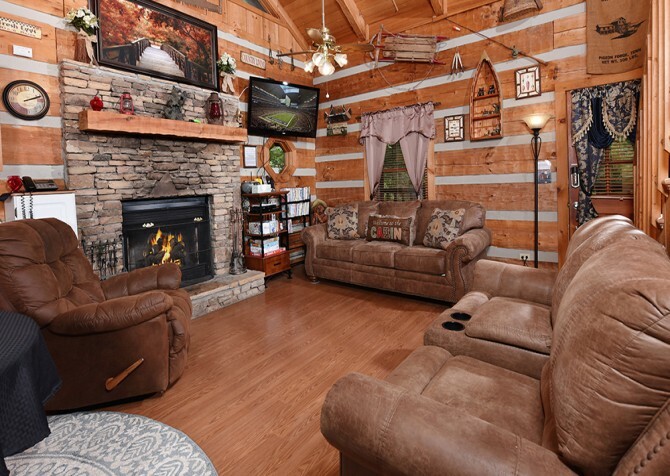 And don’t forget that when you want to head out to Pigeon Forge, downtown is only a little more than 5 miles away from Cozy Corner. 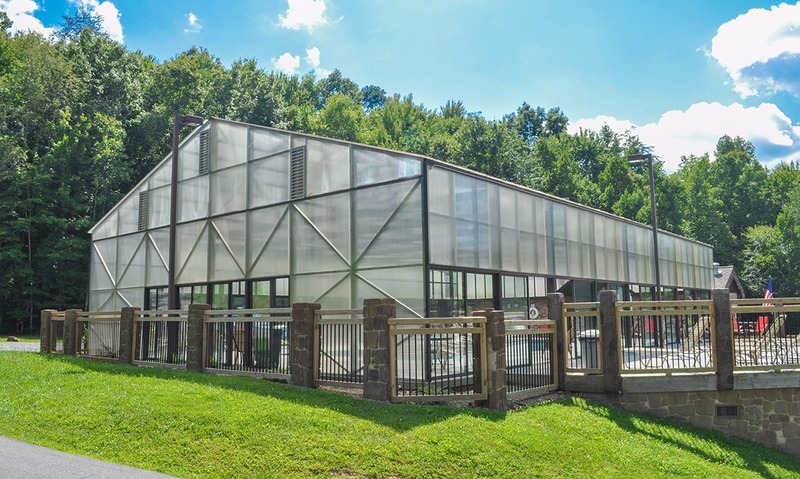 So you can easily make the drive to kid-friendly attractions like Ripley’s Marvelous Mirror Maze when you’re ready to get out, grab some old-fashioned candy, and enjoy even more entertainment with your crew! 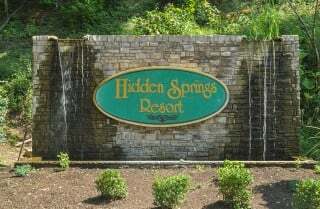 A night on the town in Pigeon Forge always makes for an exciting family adventure. Dinner and a show at popular attractions like Dolly Parton’s Stampede is a great way to spend the evening during your time away. But when you stay at a cabin like Cozy Corner, eating out isn’t the only way to enjoy a scrumptious meal in the Smokies. In this cabin’s updated kitchen, you’ll have access to all the appliances and supplies you need to make delicious meals yourself! Use the brand new black-and-stainless-steel appliances inside Cozy Corner’s kitchen for all your storing, baking, sautéing, and zapping needs. Then use the dishwasher for easy cleanup after your meal. 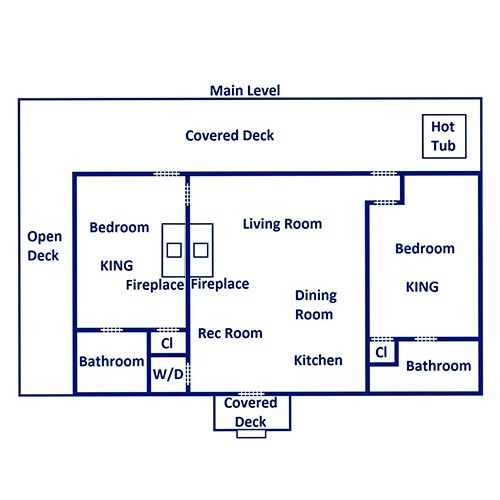 This kitchen also comes complete with countertop appliances like a blender and toaster and all the essential cookware to make your family’s favorite meals. Simply stop by the grocery store or farmers market on your way in and enjoy! 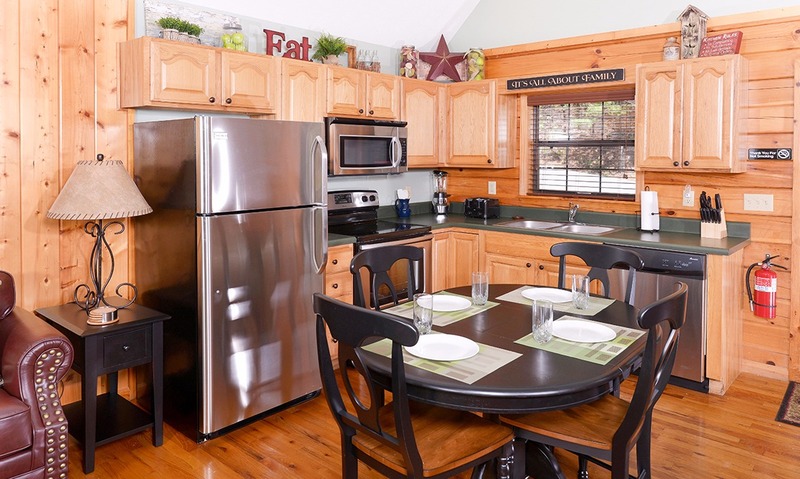 Located inside the Cozy Corner kitchen is a quaint dining table for 4. This brand-new set is black accented with oak-stained seats, offering an elegant space for family meals or even a romantic dinner for 2. 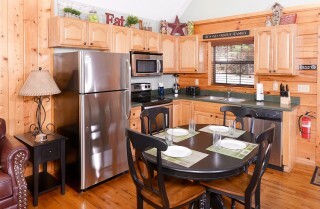 Or you can sit down for a family-style meal and clear the table for game night when you're done! When dinnertime is over, you can use the Cozy Corner dining table for family game night or a card tournament. And it’s a great place to sip your coffee on a cool mountain morning in the Smokies. 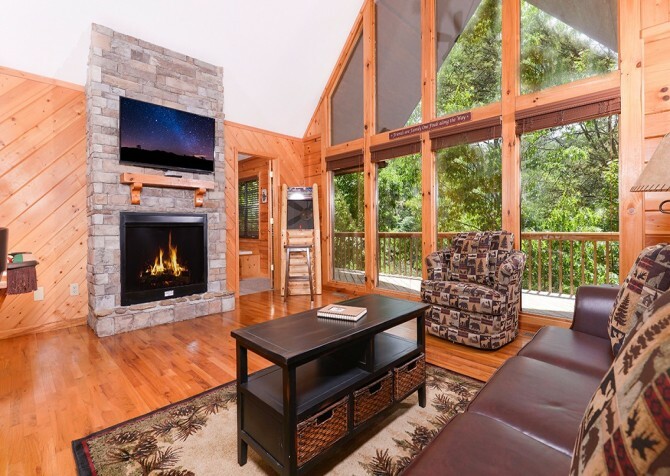 You’ll be surrounded by natural light that spills in from the large floor-to-ceiling windows against the back wall, making this space bright and inviting throughout your Pigeon Forge stay! 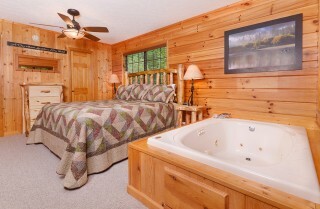 Cozy Corner comes with 2 cozy bedrooms, each accented with log-style furniture and authentic Smoky Mountain décor. The master suite is a little larger, featuring a king-size bed, a flatscreen TV mounted on the wall, a beautiful gas fireplace, and an indoor jetted tub! 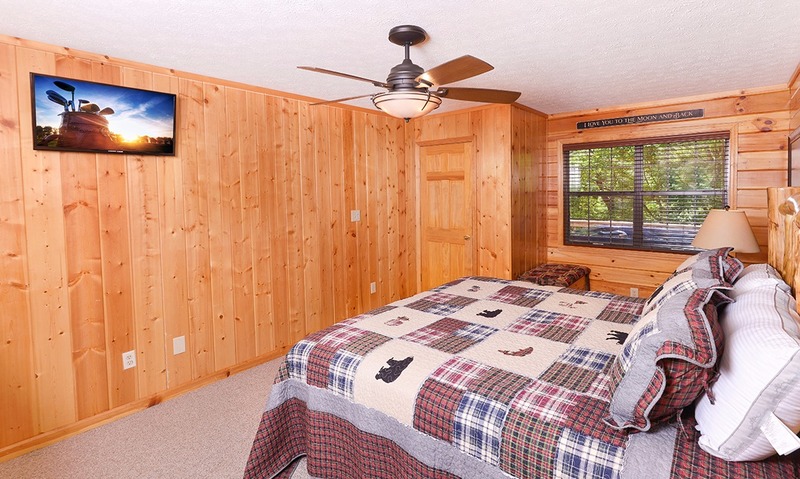 To enjoy the great outdoors, this bedroom offers direct porch access and large windows with blinds. The second bedroom also features a king-size bed, a flatscreen TV mounted on the wall, and a large window with views of the Smoky Mountain trees. With these beds and the queen-size sleeper in the living room, you’ll be able to comfortably sleep 6 guests in Cozy Corner—a great size for family outings or a small group getaway to Pigeon Forge. Stepping onto the covered deck of Cozy Corner, you’ll find plenty of space to soak in the sights of the tree-studded hills. 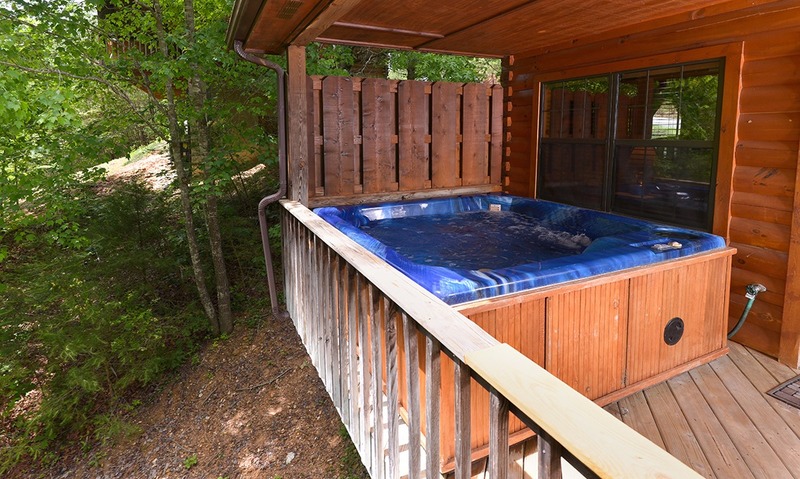 Sit back in a rocking chair or relax in the outdoor hot tub that comes with Cozy Corner. 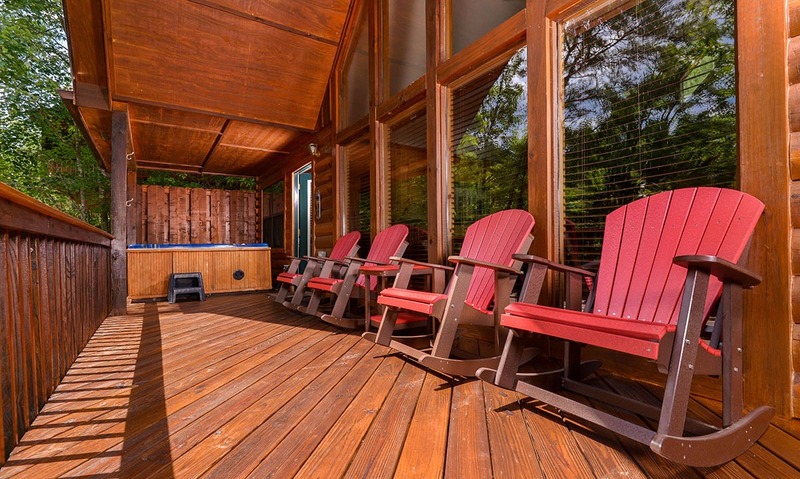 Either way, you’ll love the quiet atmosphere provided by this semi-private cabin. 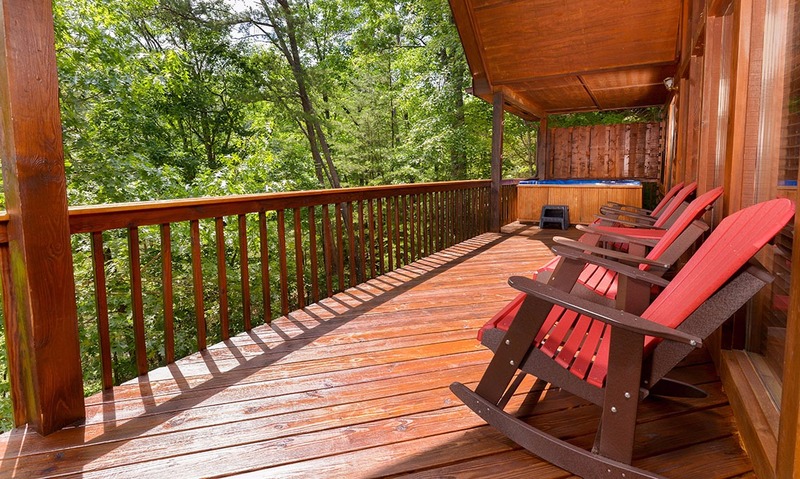 Outside, you’ll also find a charcoal grill—perfect for family cookouts, a romantic steak dinner, or hot dogs with the kids on Memorial Day weekend. 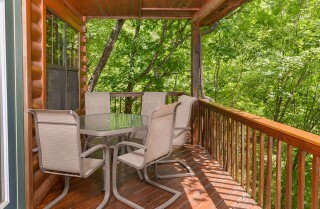 However you use it, the deck space at Cozy Corner will surround you with the unique sights and sounds of the beautiful Smoky Mountains. 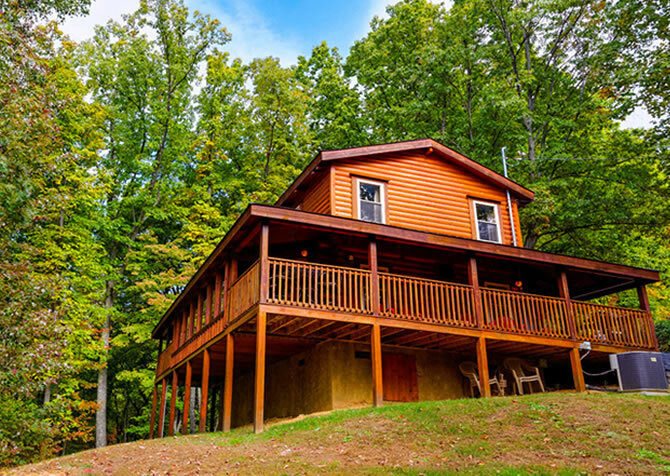 With so much to love about Cozy Corner already, it’s hard to believe this family-friendly cabin has even more in store for your Pigeon Forge vacation. Not only does Cozy Corner provide entertaining amenities like flatscreen TVs, a pool table, and an arcade game system, but it also provides community pool access at the Hidden Springs Resort! 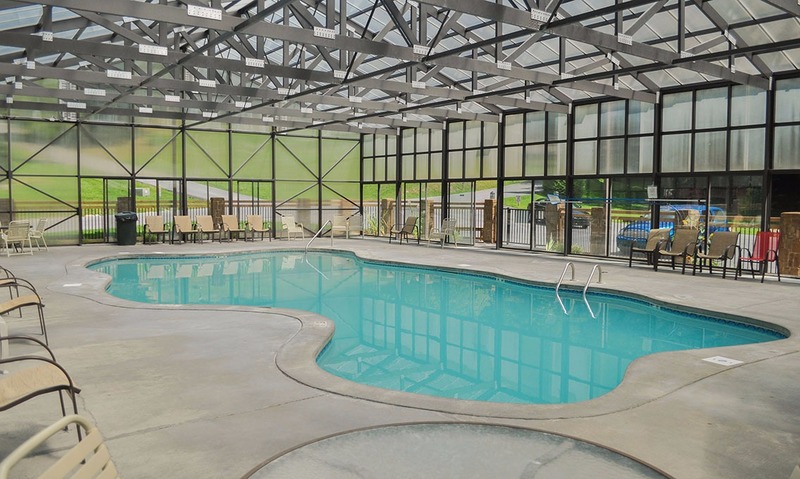 The resort’s community pool is covered, so it can be enjoyed by your family even when the weather’s not nice. The Hidden Springs Resort is also conveniently just a few miles from downtown Pigeon Forge. 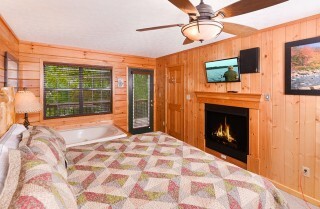 Inside Cozy Corner, for your convenience, you’ll also have access to a washer/dryer set during your stay. 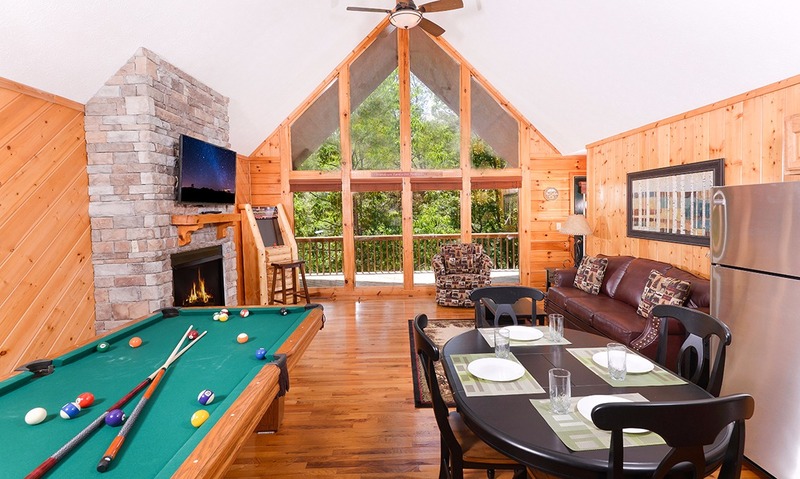 And you’ll be thankful for this amenity after spending some time hiking, biking, or fishing in the Great Smoky Mountains National Park. 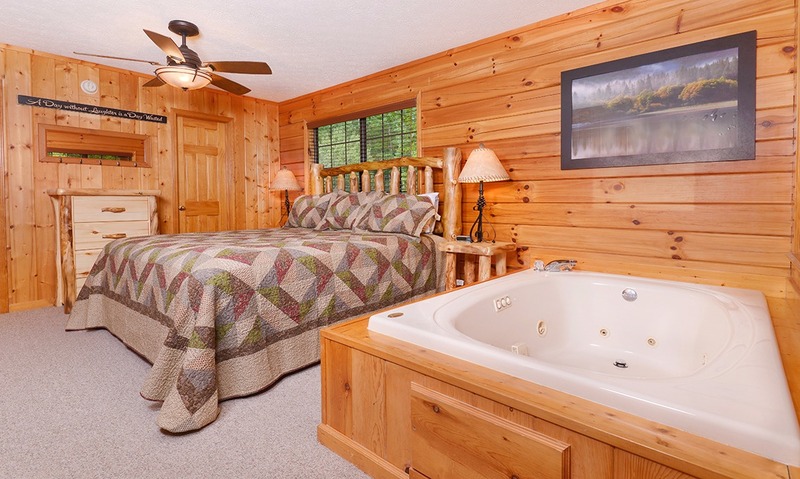 No need to head back home with bundles of laundry to do after your Pigeon Forge adventures in the great outdoors! Discover your own prized treasures at the Pigeon Forge Gem Mine attraction on the Parkway. Help your kids sift through the dirt to see what gems they can uncover! This is one of the few covered slick tracks in the area and the only Pigeon Forge attraction to feature indoor electric go-karts and spin zone bumper cars. Check them out on a rainy day! 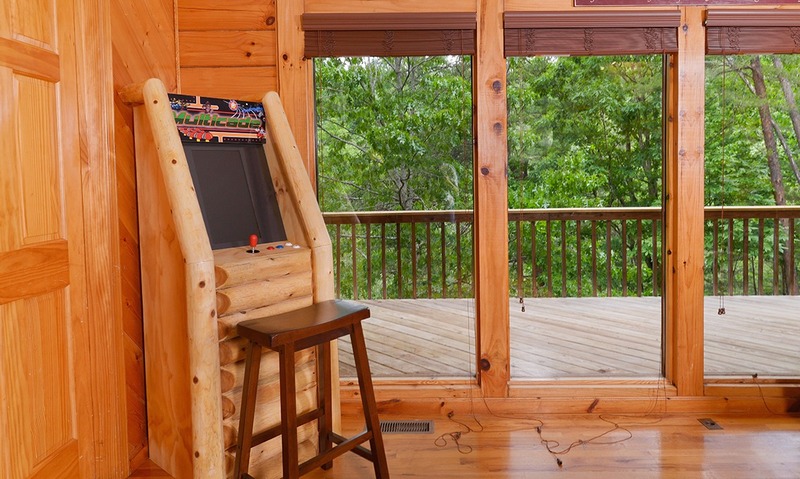 You can play regular old mini golf at home, but while you’re in the Smokies, visit Lost Treasure Golf! This travel-themed mini golf course features two 18-hole courses and a mining train. "We stayed at Cozy Corner. The cabin was beautiful. We loved sitting on the back deck and rocking in the rocking chairs. The cabin was very clean. We loved every minute of our stay and have already booked a return stay."